A bright healthy smile can give your self-confidence a serious boost, and it may even be the key to better overall health. Numerous studies have linked periodontal disease with such health problems as diabetes, Alzheimer’s disease, pregnancy complications, cardiovascular disease and certain types of cancer. A healthy smile may not be enough to prevent all health problems, but good dental care can help you maintain better gum health, stronger teeth and a reduced risk of dental health problems such as tooth decay, gum disease and tooth loss. Our Principle PPO dental insurance dentist in West Hollywood is committed to providing our patients with all the information they need to make better choices about their smiles. We offer a range of dental treatments that can preserve, restore and improve your smile. Routine checkups, dental X-rays, professional cleanings and oral cancer screenings can help catch the earliest signs of problems and identify the most appropriate treatment regimen to control the damage and reduce the risk of reoccurrence. Restorative procedures may include dental fillings or porcelain crowns, which can be used to restore the tooth’s function and appearance. In some cases, periodontal treatments may be needed to control gum infections and preserve teeth, gums and bone tissue. Our Principle PPO dental insurance provider in West Hollywood also offers a variety of cosmetic procedures. As their name suggests, cosmetic procedures are primarily cosmetic in nature. However, they can also restore function and health. Tooth-colored fillings and inlays and onlays can both be used to preserve maximum function without compromising appearance. Porcelain veneers, Lumineers, Invisalign and teeth whitening procedures are also available. Rejuvenating and restoring your smile can even renew your motivation to take care of it. 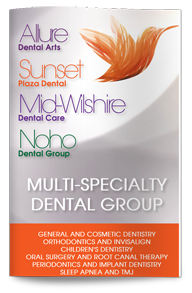 Contact our cosmetic dentist in West Hollywood today to learn more or to schedule your consultation.